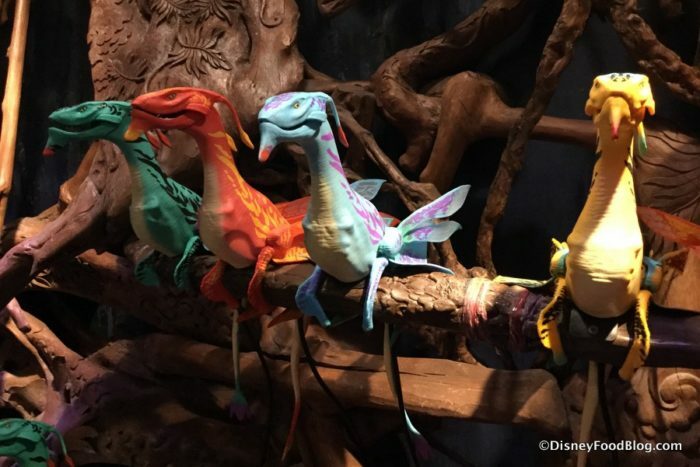 Want a Banshee from Pandora to Match Your Favorite Beverage?! Check Out the Night Blossom Banshee! 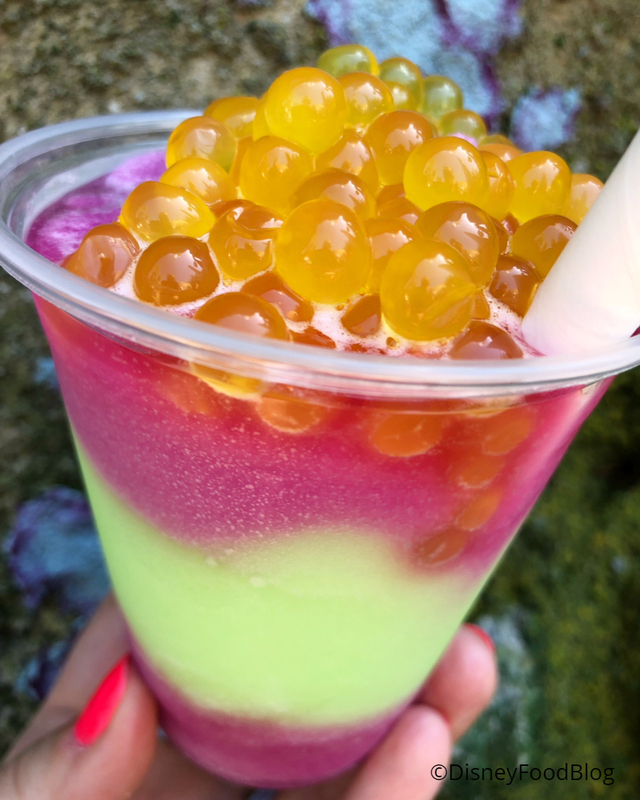 The Night Blossom is a drink found in Animal Kingdom’s Pandora — The World of AVATAR at Pongu Pongu. And this colorful beverage (which currently is available in both non-alcoholic and alcoholic versions) was an immediate hit due to its Instagram-worthy appearance as well as its tasty blend of Limeade, apple, and desert pear flavors, all topped off with passion fruit popping pearls. Disney World Annual Passholders will soon have access to a special shopping event at Pandora in Animal Kingdom. On December 9, 2018 from 7:30 AM to 8:30 AM, guests with a valid Annual Pass* can save 20% off a Banshee at Windtraders in Pandora. According to wdwmagic.com, guests dining in Animal Kingdom’s Pandora will — for a limited time — get a special coupon. What’s New in Animal Kingdom: ALL the Christmas Decorations, Menu Updates, New Merchandise and More! 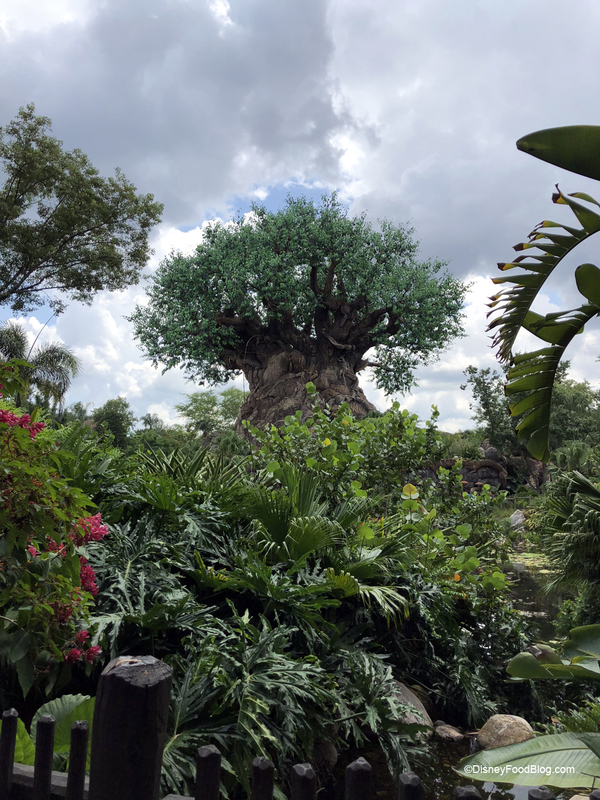 We’ve shown you Magic Kingdom and Hollywood Studios (along with Toy Story Land) all dressed up for the season, now it’s time to highlight the Animal Kingdom. Their Christmas decorations are always fun to see as they incorporate themes from the park attractions and regions represented in the park. Plus, while we were taking in all the decorations we found some new menu updates as well as some must-have merchandise! 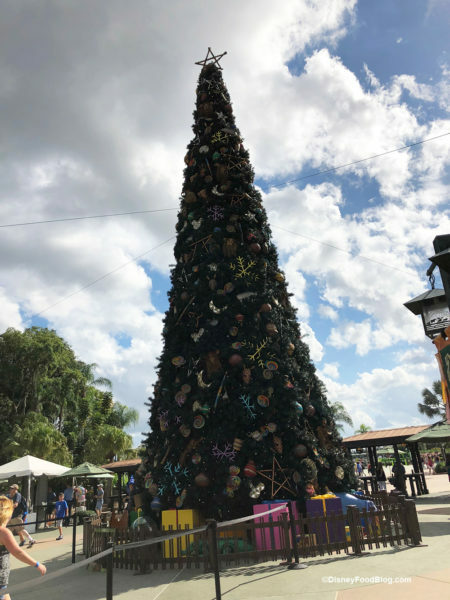 Whether this is your first or 10th visit to Animal Kingdom during Christmas be sure to take some time to look at the ornaments on the tree at the entrance to the park. They are both representative of the park, and also feature some favorite Disney characters! 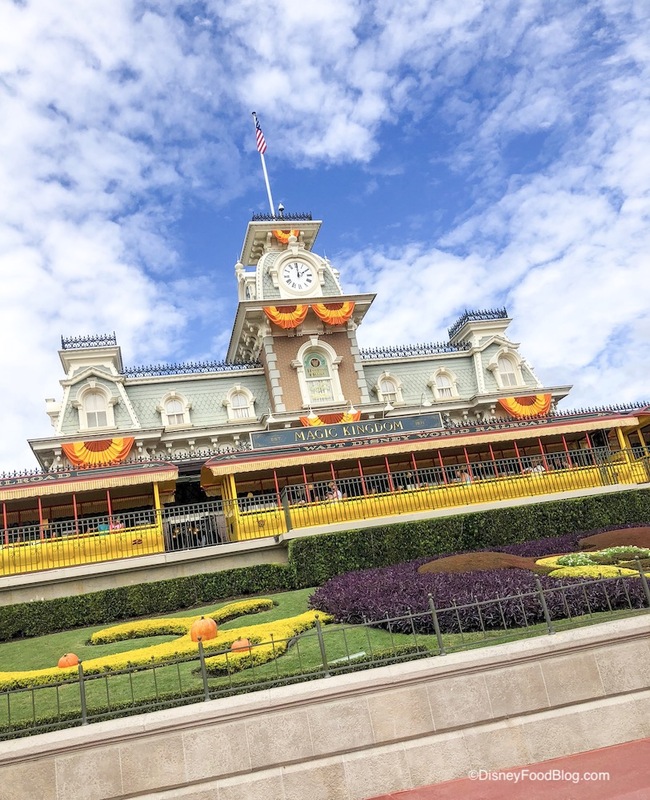 There’s always something new happening at Walt Disney World‘s Magic Kingdom! Even though we were last in the park less than a week ago, there was still plenty of newness for us to discover. Come along and take a look at everything new we encountered this week! 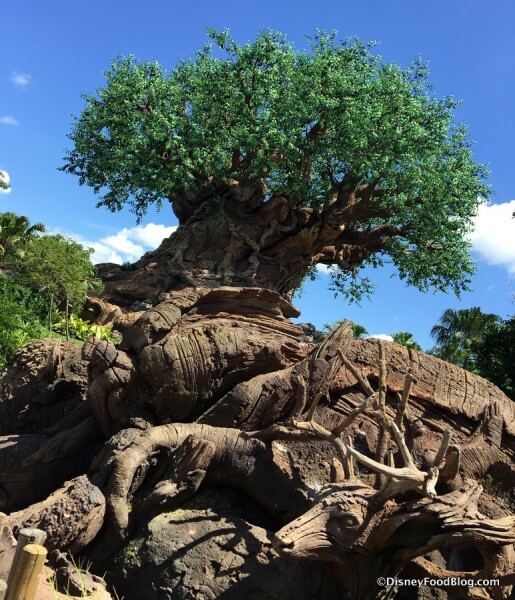 We found a bunch of changes in Animal Kingdom when we were there visiting. Check out what we found on our culinary safari of Disney’s Animal Kingdom this week! We’ll start our tour out where we always to – on Discovery Island. It was certainly a surprise to stop by Pongu Pongu last week and no longer see the spot’s signature snack — the Pongu Lumpia — on the posted menu signboard. The 2018 Epcot Food and Wine Festival STARTS ON THURSDAY, AUGUST 30! The menus are out for the Epcot Food and Wine Festival! Find out EVERYTHING you need to know about the festival on our Epcot Food and Wine Festival pages! PLUS – check out our PREVIEW of all the new eats and more at the Festival! Check out the DFB Printable Snack Guide for Disneyland’s Halloween Time! There are TWO limited time cupcakes at Sprinkles for this weekend ONLY. Cool down at the Shave Ice kiosk in Disney’s Animal Kingdom. 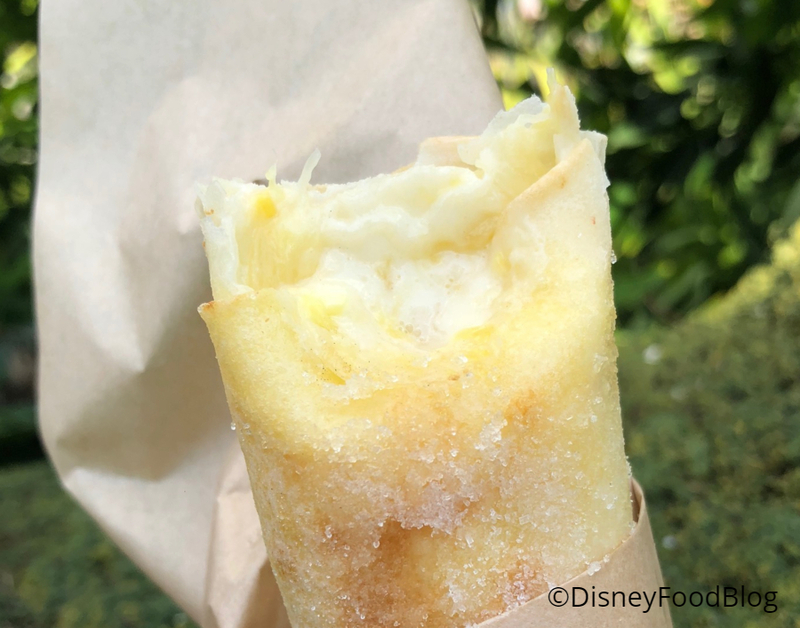 We have details on the new Avalanche Donut at Disneyland’s Donut Cart. There’s been a menu change at Pandora’s Pongu Pongu. Check out all the spooky eats for Disneyland’s Halloween Time celebration! 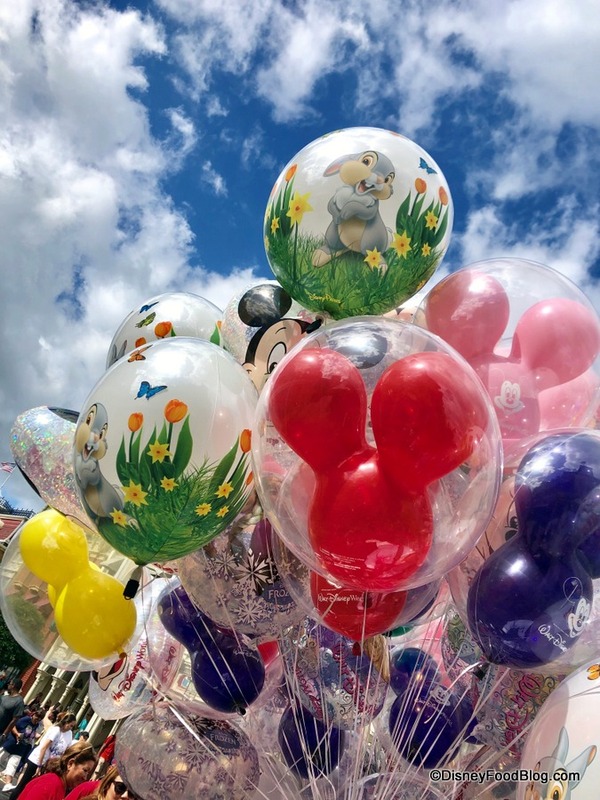 Disneyland is eliminating all plastic straws, lids, and bags! Check out what we can’t wait to try at the 2018 Epcot Food and Wine Festival. Start planning your next Disney World vacation now! Check out the Citrus Swirl with a new twist! There are three new Mickey Mouse-inspired flavors coming to Ample Hills Creamery! 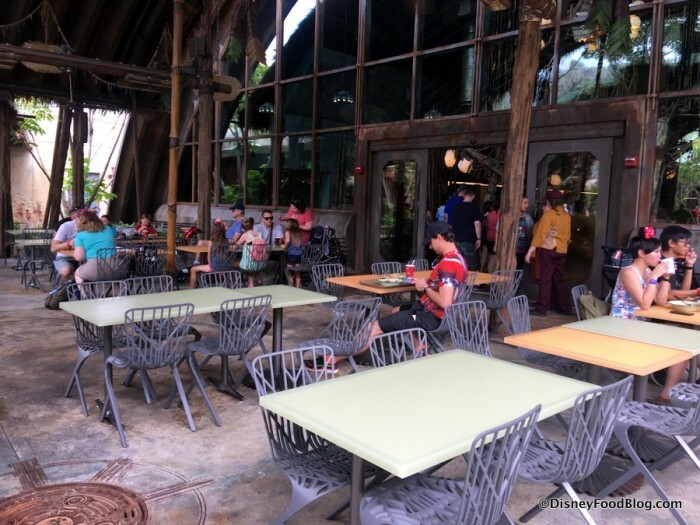 Tambu Lounge at Disney’s Polynesian Village is closed for refurbishment! Wine Bar George is celebrating the Food and Wine Festival with a champagne kick off. Booking is open for the Early Morning Magic at Toy Story Land! Plastic straws available by request only at some Disney World table service restaurants. 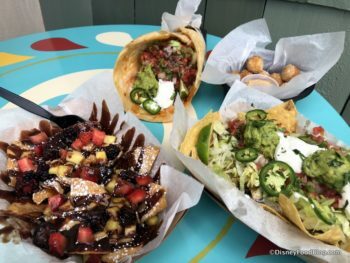 We have a first look and review of the new 4Rivers Cantina Barbacoa Food Truck in Disney Springs. Check out this must-have Turtle Brownie in Epcot! The lobby at the Walt Disney World Swan Hotel is getting an update! Check out the Annual Passholder gifts, merchandise, and more at the Epcot Food and Wine Festival. We reviewed the new menu at Nomad Lounge in Disney’s Animal Kingdom. We spotted a Dole Whip dress at Disney World! New DFB YouTube videos: Which Disney World Dessert Party Should You Do?, 7 Disney Cookies You Didn’t Know You Needed, Port Orleans Resort Food Tour, and Grand Floridian Resort Food Tour. New DFB Video: Which Disney World Dessert Party Should You Do? Your pals at the DFB are back with What’s New, and this week we’re back at Animal Kingdom and the All-Star Resorts! We’ve got menu changes (Satu’li!! ), new merchandise, and a couple new activities to share. Let’s gooooooo!